In the avalanche of modelling products that modellers are facing these days, it is sometimes difficult to even know what is what, what are all the new things, what are they good for and how to use them. Many of the arrivals are actually just another variation of similar product already on the market or alternative from another brand with little in terms of novelty factor. In spite of considering myself rather conservative modeller, I occasionally try out new things, sometimes with success, sometimes just to find out that something is not really my cup of coffee. Among all the products that I can remember, there is however one that I truly appreciate and actually surprised me. 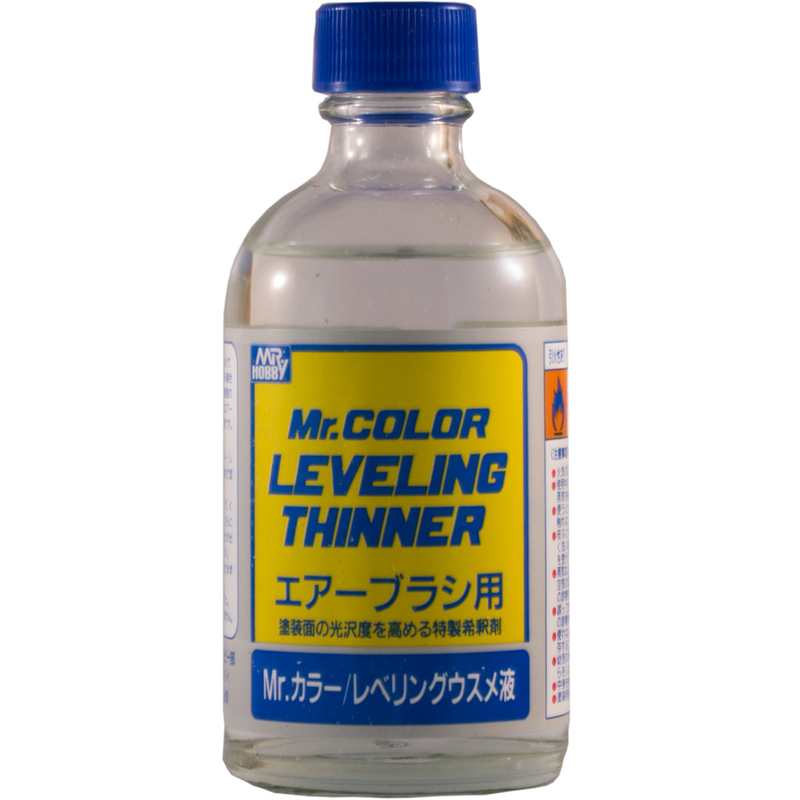 So, the Oscar goes to… Mr. Color Levelling thinner. For long time one of the challenges I often faced, even after years of experience, was achieving smooth paint finish when airbrushing base coat, highlights, etc. In many cases I ended up with the “sandpaper” effect, when the airbrushed paint, having dried before it hit the surface of the model, created finish akin to the sandpaper surface. This is primarily result of the suboptimal combination of key factors affecting airbrushing process – thickness of paint, air pressure and distance of airbrush nozzle from the model surface. The problem in most cases was that the distance from which I have airbrushed was just too large. When that happens, there are only few things that can be done to fix the problem – careful sanding with fine sandpaper, though this is often tricky around fine surface details and photoetch parts. One less known solution I have found in Mike Rinaldi’s book (which I strongly recommend to modellers who are beyond the beginning of their modelling path) – airbrush the surface with coat of lacquer thinner – this will dissolve the paint and smooth it. Now, these are ex post solutions to the problem. What Mr. Color Leveling thinner brings is a way how to prevent the problem from occurring. And does it in very simple manner. This thinner essentially has longer drying time than the other thinners – namely Tamiya’s Lacquer and Acrylic thinners that I normally use. So instead of drying immediately after being applied, the paint when thinned with Leveling thinner remains wet for few minutes, similar to enamel paint. During this time, the paint essentially “levels” on the surface and creates smooth, yet still flat finish. This is ideal for further weathering stages as well as for application of decals. Now this feature means that there are some things to be careful about – first of course is model handling – because the paint stays wet for few more minutes, one has to avoid touching or handling the model, until the paint has fully dried. The other is aspect that I found out is that when used for painting camouflage using masking with masking tape, I have to be careful with not applying to thick coat of paint as the thinner paint has bit more tendency to seep underneath the masking tape along its edges. Nothing serious, just something to keep it in mind when using this technique. If you haven not tried this product yet, I would definitely recommend giving it a chance, you might be surprised by it, as I was.